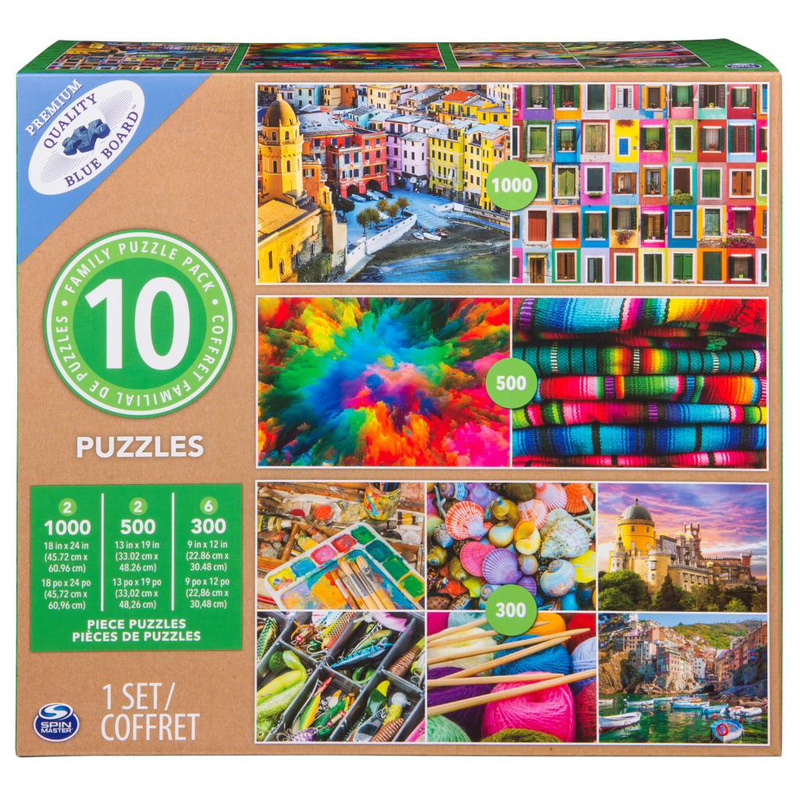 Featuring images by some of the most acclaimed artists in the world, this 10-pack puzzle set is sure to be a hit with people of all ages. There's a variety of sizes and difficulty levels, allowing everyone in the family to take advantage of this premium puzzle set. 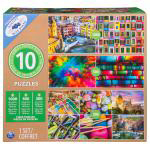 Manufactured on premium quality Blue Board, these high-quality puzzles piece together effortlessly to craft artistic wonders. Our specially designed puzzles ensure every piece fits tightly. Durable, thick pieces snap into place making for a most satisfying build. The matte finish cuts down on glare and gives a picture-perfect finish.